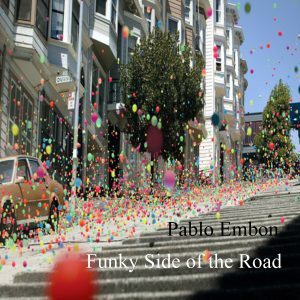 Pablo Embon – Funky Side of the Road – Album Review | The Ark of Music – The best music in the world…you never knew existed. Pablo Embon is a true musical veteran if ever there was one. 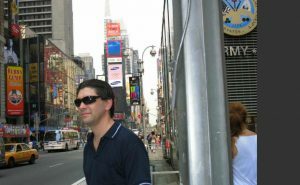 Though he currently resides and works in Israel, he was born, and spent much of his childhood, far and away in Argentina. It was there that he took up the piano and guitar at age 7, which included tutelage from famed classical guitarist Eduardo Isaac. After playing in several modern bands during his youth, Pablo’s musical journey expanded to include not only mastering multiple musical instruments, but also recording, production and orchestration. And now, 35 years of music experience later, he has composed, performed, mixed and mastered an astounding 15 albums—all on his own, making this troubadour artist not simply a musical master, but a DIY guru as well. His latest album, Funky Side Of The Road, a genre-crossing, multi-instrumental, fusion jazz-based extravaganza, showcases his years of mastery. While opening tracks Is That You, and, Golden Peak, set a light, jazz-guitar/keys mood, the third piece, 2222, introduces a Flamenco element that caught the favor of my ear. Technically sound, and rich in improvisation, these three tracks inform listeners—immediately—that Embon is the real deal in this genre. In Green Lizard, Pablo throws caution to the wind by introducing elements which you might not think would work together if you only were given a verbal description. In this case, one mean, fuzzed-up, electric guitar, hitting blues licks in the middle of a fairly mild fusion jazz composition. It’s perfect contrast. Dig this. In Naughty Lucy Embon lets loose with organ and sax in a fashion reminiscent of Stevie Wonder’s, Superstitious. Without question, it is Funky Side Of The Road‘s funkiest number. One Day Left is easily my 2nd favorite track. It reminded me of watching The Peanuts cartoons when I was a kid, with that sort of loose, carefree, yet purposeful melody, drifting about in delightful fashion. This piece clearly speaks to the good nature of its creator. Fools Game quite gracefully closes out the album. With a lovely display of classical acoustic guitar skill, Pablo has clearly learned one very important lesson in his musical tenure: Leave them smiling. The effortless nature with which Pablo seems to create his music is something that can—all too easily—be taken for granted. You see, there’s nothing “easy” about what he’s doing. But, at the end of the day, that’s what mastery is: the ability to hide the years of practice and effort within one lovely melody. That is exactly what this master has done on this album. I found it extremely pleasant to listen to. And, as I crossed over to the Funky Side Of The Road, more than a few smiles crossed my lips as well. Vince Guaraldi (American jazz musician and pianist, and composer for The Peanuts cartoons) gets reincarnated into today’s all digital, high-tech, rhythm-driven, DIY era. That said, if you enjoy fusion jazz and easy listening styles, you’ll absolutely love this album. 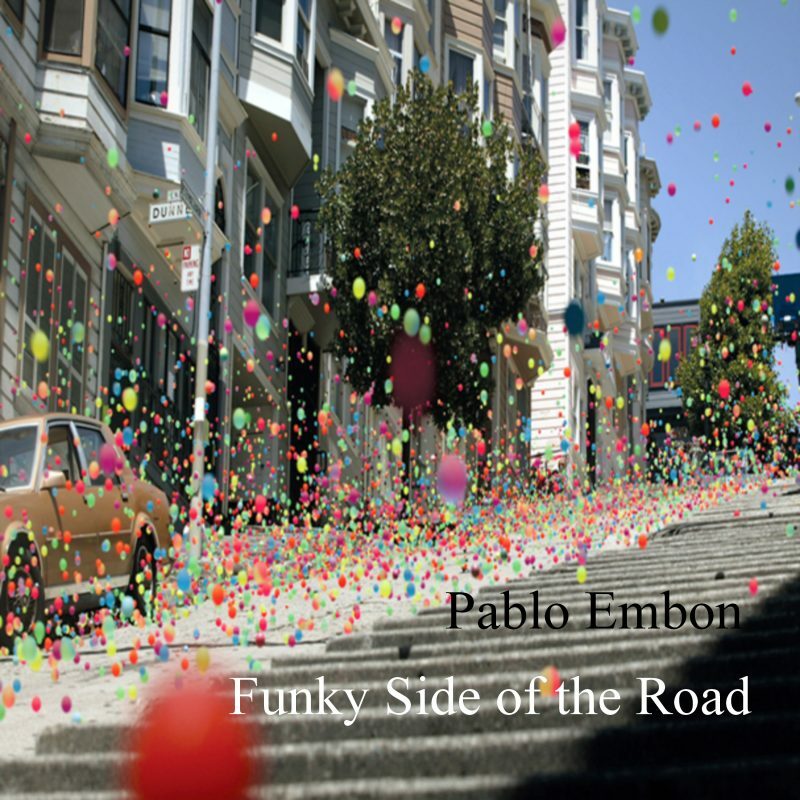 Below, you can listen to Pablo Embon’s album, Funky Side of the Road, check out our interview with him, connect with his website, social media, and streaming/download platforms, and find his booking & contact information. Please support Pablo Embon by visiting him online, and playing, downloading, and/or purchasing his music. And, as always, thank you for supporting real music!